Spring is here so I thought it would be a great time to talk about green weddings. I do not mean the color green, but eco-friendly weddings. Your wedding is an important event in your life, but this does not mean you have to forget about the environment. There are many different ways you can have your dream wedding and feel good about it. Lets start at what many brides think is the most important part of their wedding, the dress. Instead of running to your nearest bridal salon, go to a vintage shop. If vintage is not your thing, then try to reuse a dress previously worn. Brides Against Breast Cancer is a great option for finding a previously worn dress in modern styles (For info for Indy’s BABC Sale, Click Here, for other areas go to www.bridesagainstbreastcancer.org). The best part is that you can find a great gown and the sale goes to help grant wishes for stage IV breast cancer patients. 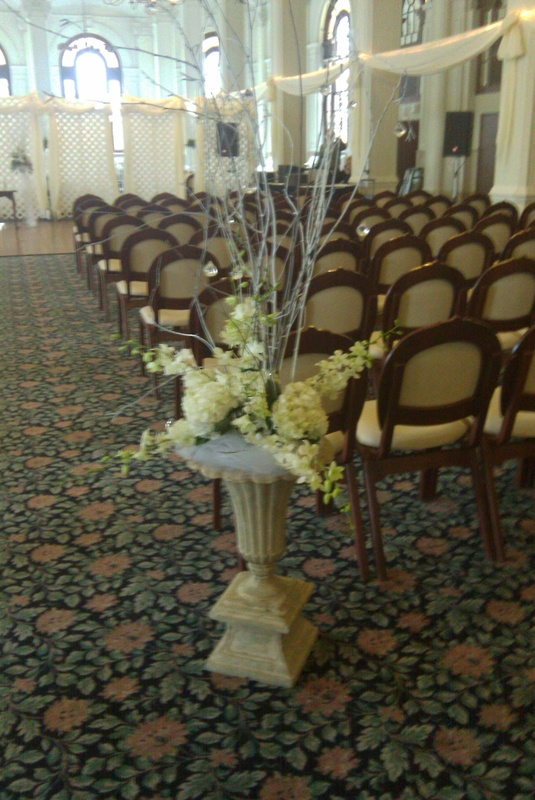 A great option for centerpieces is to use plants that can be replanted. 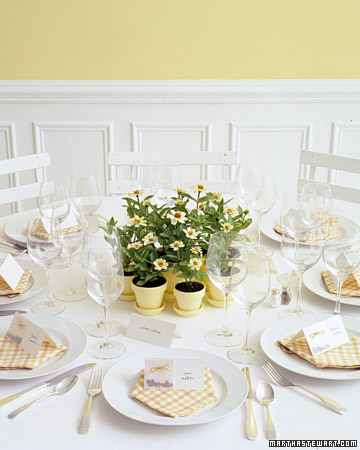 You can even be more green by using your centerpieces as your guest favors. You could create a centerpiece will eight small potted plants that guests could take home to plant in their gardens to remember your wedding day. What a great way for guests to take a part of your wedding home. The really good news is that when guests take the flowers, you have less to clean up because your guests have taken your centerpieces. Instead of picking any flower, choose flowers that are locally, organically grown. Today more and more farmers are working towards a better environment and growing items organically. By choosing one of these farms, you are getting a flower you know has not been sprayed with harmful chemicals. Also, if you find farms that are local you save the environment from harmful transportation effects. It use to be that if you wanted recycled paper for your wedding invitations, you were picking from a very small bunch. Today the invitation industry has finally realized that you can have eco-friendly AND beauty. 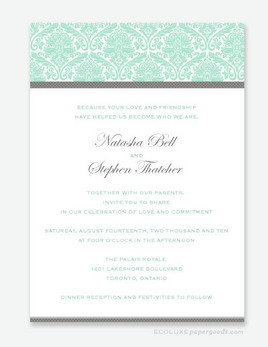 Look for invitations that are from recycled paper and try to minimize all the paper you need. Today almost everyone has email and Save the Dates can be forwarded this way. If fact, there are companies out there that specialize in emailed Save the Dates. Find a free service, or create one on your computer to cut down on paper waste. Also, you can have guests RSVP electronically. Again, they could email you or many of the free websites you can create for your wedding day activities also allow you to track RSVPs. By sending these items out through email, you are saving the amount of paper being used and you can save money by not having to pay for these items. These are just some of the ways that you can help make your wedding eco-friendly. 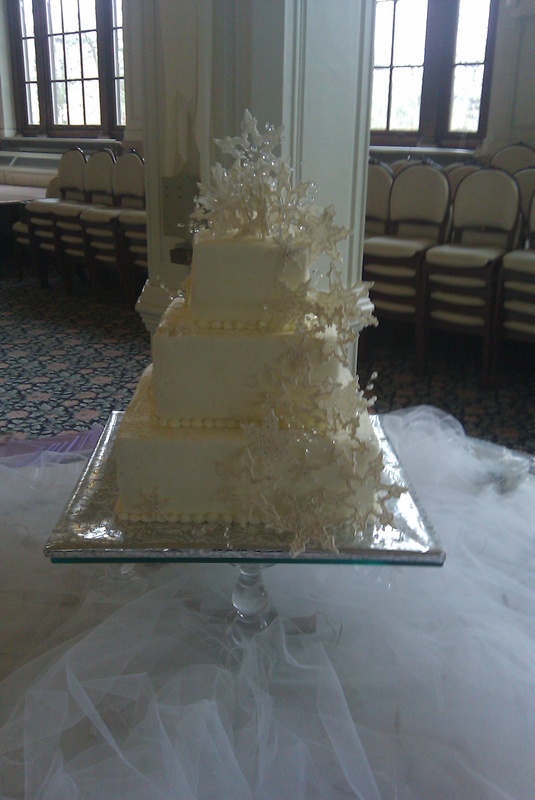 Enjoy your wedding and have the piece of mind that you are not hurting the environment. 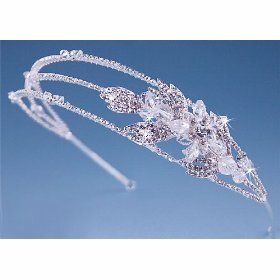 Whether you choose classic or funky, you can have a great hair accessory that will add to your overall wedding day look. I like to save as much money as possible when planning a wedding. However, sometimes I think you need to splurge and spend a little. One of these items that some would say is an extra splurge is getting your make-up done. I think that this is one area a bride should spend a little money. I think that there are several good reasons for this. One, it is your wedding day and you should be pampered. How many times in your life do you hire someone to do your make-up? If you are like me, the answer is never. For your wedding, say yes. It is ok to be spoiled on your day, it is your day. Two, who needs added stress on your day. We have all been there in front of the mirror putting on make-up, and for some reason cannot get it perfect. Do you want this to happen on your wedding day? Also, while you are getting ready, people are going to be talking to you. Your bridesmaids will be excited and talking, family will be there and some other family that you did not expect will show up (it happens). All wanting to talk to you about your special day. It is a whole lot easier to be talking while someone else is worried about your liner and mascara. Three, a professional is going to make you look good. I am not saying that you cannot make yourself look good, but a professional has tools and products that the average person does not. They do this for a living and will make sure you glow on your wedding day. The other important thing is to make sure you hire a good make-up artist. I am not suggesting you pull just anyone off the street. You need to see them before your big day, AND (this is an important and) you need to have a test run. This is critical for wedding day success. Not everyone wears make-up the same way and unless the make-up artist is familiar with working on you, they may not know what you like. For example, I happen to not wear tons of make-up. On an average day I have a powder foundation (got to hide those bad spots), mascara and a little blush for color. For my wedding day, I did not want to look different with tons of make-up on. It is important to have that test run so that you and your artist are on the same page for your wedding day. It does you know good to hire an artist and have them do your make-up wrong. Then all of a sudden that stress we are trying to avoid will be ruining your day. To sum up. Research and find an artist that is professional and trustworthy. Have a practice run to make sure everything will be perfect. Finally, relax on your wedding day and just let yourself be pampered. While I was watching the Oscars, I was doing the same thing as everyone else, looking at the dresses. We all do it, we love to see the best and worst of hollywood. Many of us would love to be able to afford these one of a kind, beautiful dresses. If you are getting married, you have the chance to do this. 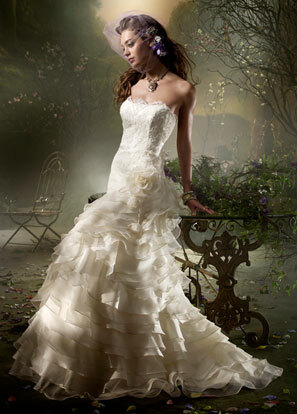 If you look at wedding dresses, you will notice that many of the trends come from regular fashion dresses. The award shows are a great way to see up and coming great fashion (and some not so). Below are dresses from the Oscars and then how you can where them on your wedding day. Another trend you will see are the same color trends for wedding colors. Jewel tones, especially navy blue, where very popular. As well as, muted colors like purple and pink. These are the same trends we are seeing in the wedding world. So next time you watch a reward show, pay attention, you may be seeing your wedding dress. Yesterday I was able to attend/work Art of the Table. This is an event hosted by the Association of Bridal Consultants Indiana Chapter as a fundraiser for the Betty Jackson Scholarship Fund and the American Cancer Society. Local planners, florists, and other designers create beautiful tables. This year the designers did an incredible job and we were entertained by amazing table scape. It was a great event and next year you should go. You will not be disappointed. 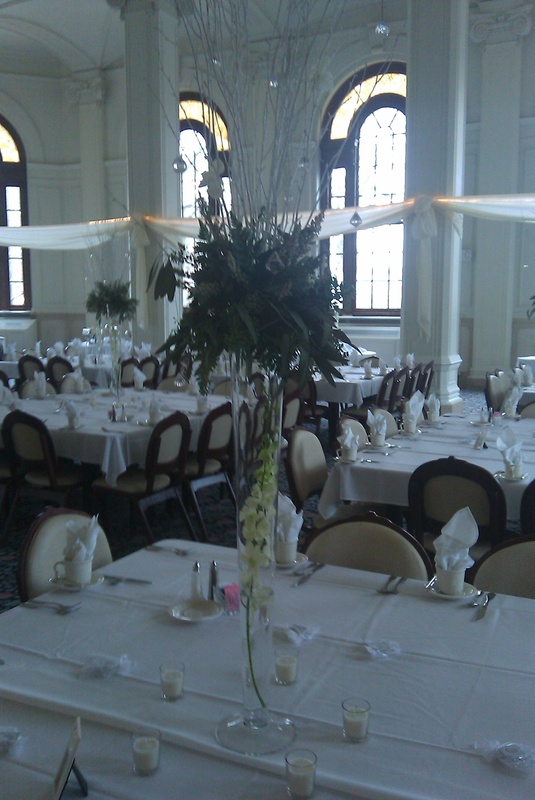 This past weekend, I was able to help a fellow planner with a wedding in Terra Haute. It was a beautiful winter wedding at St. Mary’s of the Woods in Terra Haute. The couple were wonderful and had a beautiful wedding. Here are a couple of pictures. A new trend that I am seeing are brides wearing different color shoes, and I love it! The traditional white shoes are fine (I wore them) but I like that brides are adding a little more personality to their wedding ensemble. If you are a non-traditional bride wearing a somewhat traditional wedding dress, this gives you the opportunity to be you. 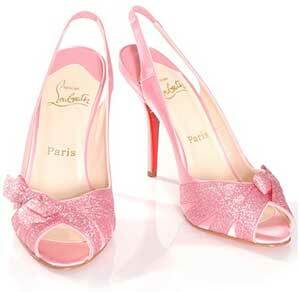 Have fun with your shoes and pick any color you want, it is your wedding and you should enjoy it. Besides, it is another great excuse to buy some new shoes! Again, this is a charity wedding gown sale and you will receive HUGE discounts on wedding dresses. It is going to be a great event that you cannot afford to miss.